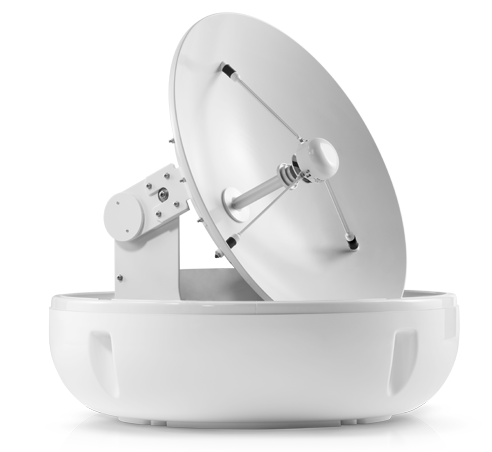 The t240CK is the world’s first antenna capable of receiving both HD and SD satellite TV services on C-band and Ku-band simultaneously from the same satellite. Intellian’s multi-band and multi-polarization WorldView LNB enables users to seamlessly tune in to any satellite TV service around the globe by simply pushing a button each time the vessel crosses into a different satellite service region. With a 2.4m (97 inch) reflector, the t240CK is a simultaneous C-band and Ku-band solution, designed for large vessels such as cruise ships, super yachts and commercial vessels that travel all the seven seas. Intellian’s t130W provides outstanding performance in an 125cm (49.2in) reflector with the added benefits of Intellian’s proprietary WorldView Technology. 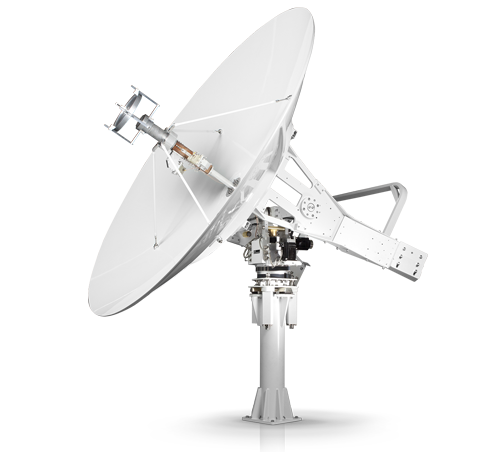 This system receives SD or HD programming from any Ku-band satellite TV service around the globe without requiring LNB changes or re-wiring of the system when the vessel travels from one region to another. Intellian’s t110W provides outstanding performance in an 105cm (41.3in) reflector with the added benefits of Intellian’s proprietary WorldView Technology. 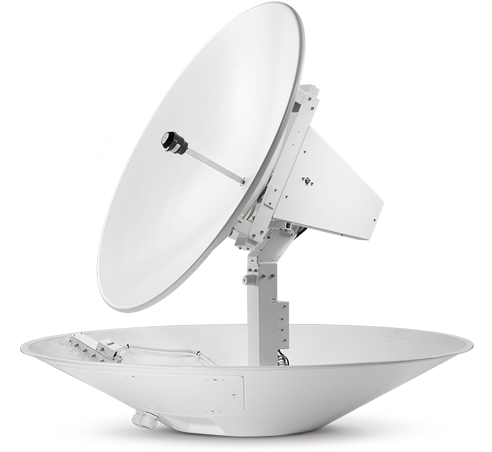 This system receives SD or HD programming from any Ku-band satellite TV service around the globe without requiring LNB changes or re-wiring of the system when the vessel travels from one region to another. Ideal for larger yachts, luxury vessels and wherever symmetry and aesthetics are important on board, the new t100W is a 1.05-meter t100W antenna within a v100 dome. 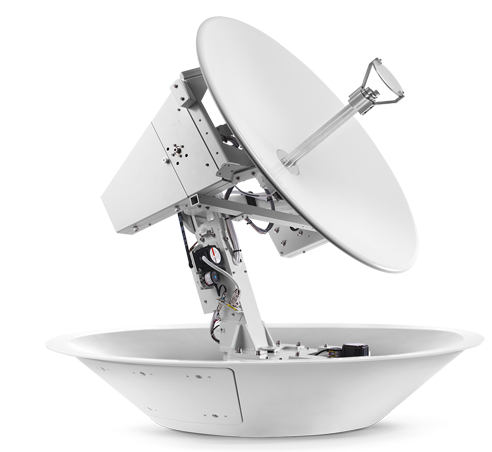 It is a complementary system for the v100 3-Axis VSAT antenna, which provides unparalleled performance for current Ku-band services and can easily be adapted for Inmarsat’s upcoming Global Xpress™ service. Intellian’s t80W provides outstanding performance in an 85cm (33.5in) reflector with the added benefits of Intellian’s proprietary WorldView technology. 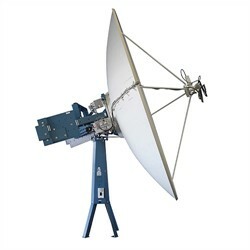 This system receives SD or HD programming from any Ku-band satellite TV service around the globe without requiring LNB changes or re-wiring of the system when the vessel travels from one region to another. The Intellian s6HD is a complete all-in-one satellite TV solution that enables boaters to enjoy high-definition TV channels just like at home. The antenna’s stylish polished radome design makes it a perfect fit for boats over 45 feet. See more for less, with the s6HD. Because DirecTV offers so many different channels, their service is simultaneously broadcast from three separate satellites. The s6HD processes all three signals at once, delivering the complete DirecTV HD experience right aboard your boat. Multiple TVs onboard can tune to any program independent of what other sets might be watching, which means no more debating over Cartoons vs. Sports. Additionally, tracking three satellites at once keeps the channel guide up to date and enables use of your DVR. Renowned for its professional grade build and extensive coverage capability, the i9 is the ideal choice for commercial vessels venturing far offshore. Improve crew morale with the comforts of home wherever you go. Intellian’s best-selling system, the i6 is renowned for its robustness and exceptionally strong signal gain. Great for extended offshore voyaging, the i6 is ideal for ocean cruisers, larger yachts and commercial vessels. When equipped with Intellian’s proprietary WorldView LNB, the i6 can operate in any global coverage area without manual intervention. 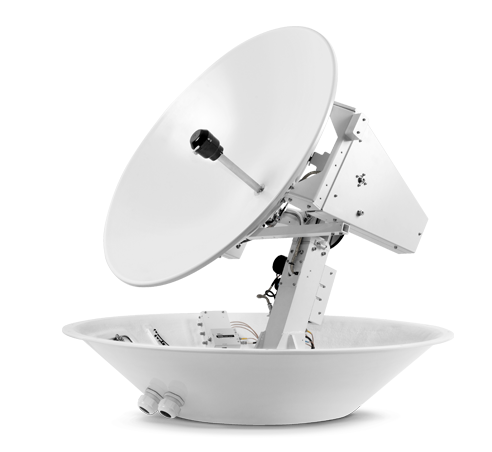 Hit the Link for more information on the SAILOR 800 VSAT Ku-band. 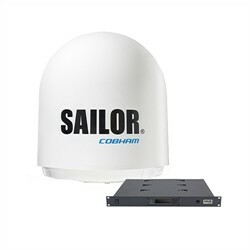 An advanced maritime stabilized Ku-band system that can operate two antenna systems on a single modem without the need for an extra box to manage the feature. This requirement arises when the vessel needs a satellite connection even when there are obstructions in the way. 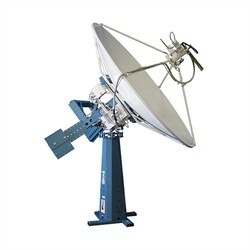 The two SAILOR antenna controllers manage the connection between satellite and modem. 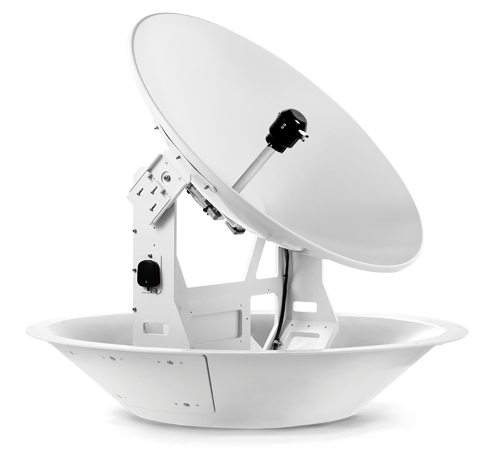 Hit the Link for more information on the SAILOR 900 VSAT Ku-band. 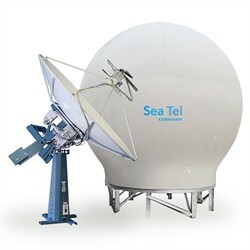 As Sea Tel’s most efficient ever C-band Circular only, stabilized antenna system, Sea Tel 9707D VSAT guarantees high-performance connectivity worldwide. 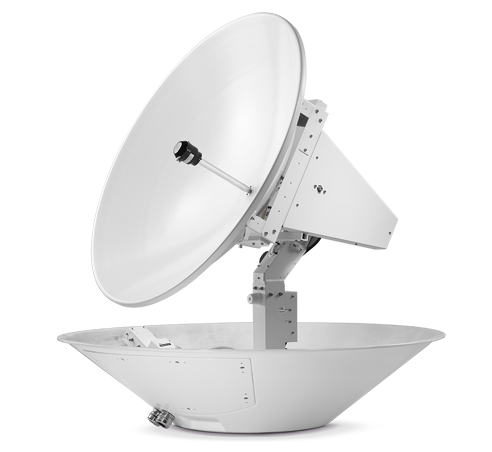 Hit the Link for more information on the Sea Tel 9707D VSAT circular C-band. A radical offset antenna, the 9797B is Sea Tel’s most efficient ever C-band and Ku-Band marine stabilized antenna system. 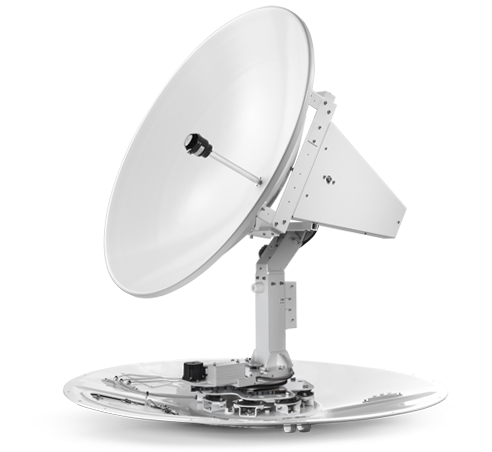 Hit the Link for more information on the Sea Tel 9797B VSAT C-band_Ku-band. 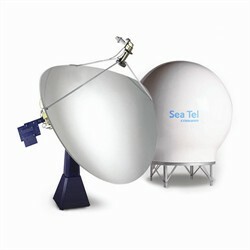 Hit the Link for more information on the Sea Tel ST88 TVRO. 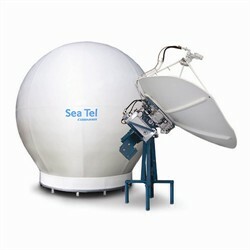 Sea Tel’s 3.6-metre flagship system providing the largest offshore operating area and compatibility with all satellites. Hit the Link for more information on the Sea Tel ST144 TVRO.